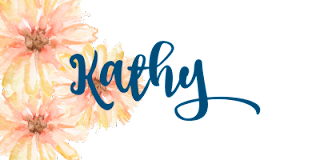 #stampinup #faithfulinkspirations I love the "Super Duper" stamp set--it's another fun set that carried over from the 2017 Occasions catalog to the 2017-18 Annual catalog. 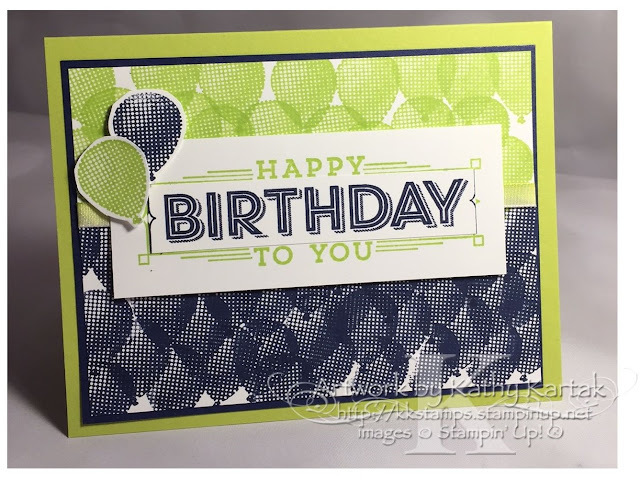 I've recently seen stampers pairing our new In Color, Lemon Lime Twist, with a returning favorite, Night of Navy, and I thought these colors would be fun to use for a "Super Duper" birthday card. Actually, I got the idea of stamping a bajillion of the balloon stamps in two different colors from a card I saw on Pinterest. I feel like the balloon were just released for some festive occasion! I started by stamping the balloon in Night of Navy on the bottom of a 3-3/4" by 5" Whisper White panel. Then I stamped the balloon again across the top, but this time in Lemon Lime Twist. I adhered this to a 3-7/8" by 5-1/8" Night of Navy mat. I wrapped a length of Lemon Lime Twist Ombre Ribbon around the center of this piece before adhering it to a Lemon Lime Twist card base. Next I stamped the main sentiment in Lemon Lime Twist onto a 1-3/4" by 4-1/4" strip of Whisper White Card Stock. I stamped the sentiment again in Night of Navy onto a Whisper White scrap and cut just the word "birthday" out, and then adhered it onto the Lemon Lime Twist sentiment. I adhered this piece to the card with Stampin' Dimensionals. Finally, I stamped the balloon one more time onto a Whisper White scrap--once in Lemon Lime Twist and once in Night of Navy. I fussy cut the balloons and adhered them to the card with Stampin' Dimensionals. This card was fun--and quick--to make and I think it's a great card for a 'tween or a teen--or anyone celebrating a birthday!